Below is a video and reflection of a place value lesson I recently did with my children. As mentioned in an earlier post I was challenged to use materials as a way of building the children's decimal place value knowledge. This was my first attempt. 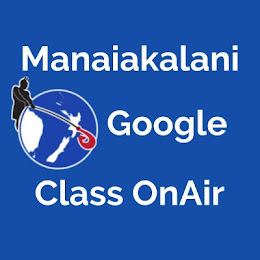 To see examples of the children's finished work please go to my Class OnAir site. Decimal place value knowledge - Materials, materials, materials! Last week our team was fortunate enough to have a tailored session with Jo Knox about about assessing and teaching maths in Year 7 & 8. While the whole session was very useful the part I found most helpful was Jo's take on teaching decimal place value knowledge. For my CoL inquiry I'm inquiring into how I can significantly develop the math knowledge of my children. This term I am focussing on developing their decimal place value knowledge. When I asked Jo how she goes about teaching decimal place value her response was 'Materials, materials, materials' She said using materials such as decipipes, decimats, chocolate bars and bundles of 10 ice block sticks are imperative in developing conceptual decimal understanding. The idea of using materials to develop decimal knowledge is also supported by NZ Maths which states "In developing an understanding of decimal numbers and their relative size, it is important that the students themselves use equipment to create a range of physical representations of numbers". With this in mind I will be endeavouring to create rich learning experiences using materials. I hypothesis that this combined with rich create activities will develop my children's knowledge of decimal place value and other mathematical concepts. I'll keep you posted on how I get on. Adding tenths to the hundredths column. I hypothesise this comes from viewing decimal numbers as whole numbers i.e 12 hundredths as 12 and lack of understanding of the base 10 system. I will be looking at ways to address these misconceptions and place value knowledge gaps. In order to better support my maths children in their learning I wanted to find out more about their own level of mathematics confidence and how much support they receive from home. Below is some of the data from a survey given to the children. This result surprised me. I assumed that most of the responses would have been around 2 & 3. It is encouraging to see that most of the class do enjoy learning maths at school. Further investigation will be needed to find out what I can do to help the 2 students who don't enjoy learning maths at school. Again these results surprised me. 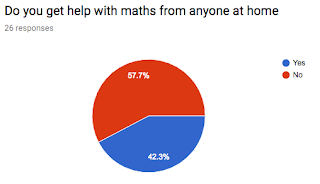 It was encouraging to see that 38% had some confidence in their maths ability and it was pleasing to see that none of the children had no confidence. Interestingly while 65% of the children could think of two adults in their life who had encouraged and supported them in maths only 42% said they get help with their maths from anyone at home. On further investigation for most of those children who indicated 2 adults support them in maths, one of those adults was a teacher. There are a lot of takeaways from this data. I am yet to work out how this data will affect my teaching and lessons however it has given me much to think about. Today we had Jo Knox taking us for Maths PD. These are notes taken from my colleague Hayley Judd who kindly shared them with me and allowed me to post them. "The primary purpose of assessment is to improve students learning and teachers teaching as BOTH student and teacher respond to the information that it provides"
- How is this assessment informing our planning and teaching? Disadvantages: time pressure, chn have to look up and down, questions go too quick. Maybe give chn to option to sit back with their marked test and they can fix up the ones they know (not wasting time learning what they know) and then pick two things they want to learn based on their mistakes. 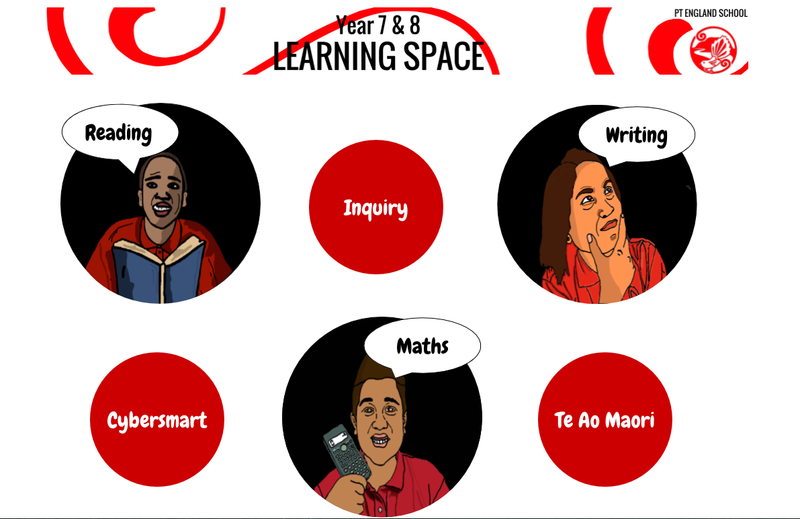 These are great to show the glaring gaps, where students are aiming for, and their strengths. Be careful if the kids are working well below, as their lines will all be in the middle and might discourage them. How do I use the data to inform my planning? Data: sort range: column d.
This will sort from lowest to highest stage. Will show some common gaps in knowledge that you can fill as the Teacher. Individual reports give stanine, where the children sit on the bell curve, black correct answers, light is incorrect, transparent is omitted. Red line is the average. The key will show you whether the test was too hard or too easy. Below is the presentation that Jo went through when speaking to us.